This particular Blog won't go viral. 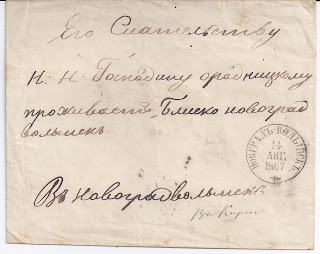 There are not many collectors of Russian pre-philatelic mail or pre-philatelic cancellations - though some cancellations continued in use after the introduction of postal stationery and even postage stamps. 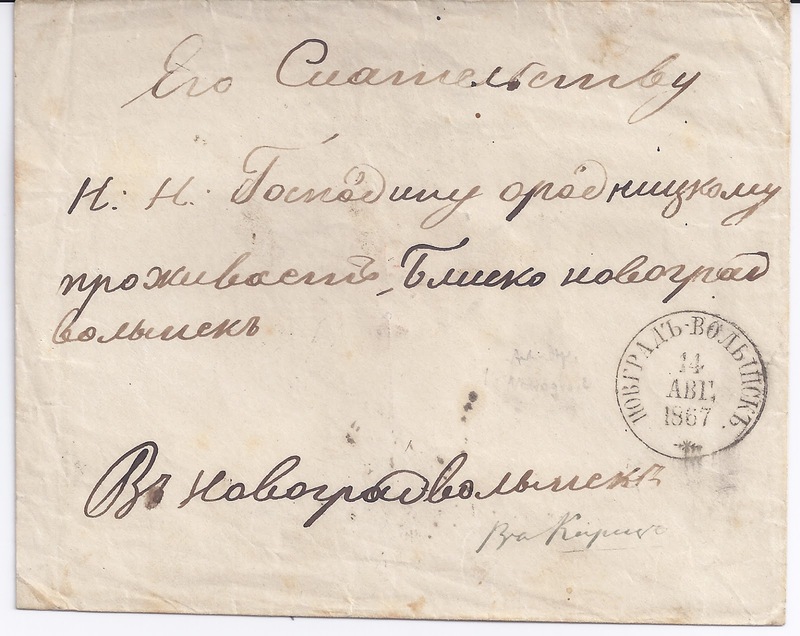 Recently I bought a collection of pre-philatelic mail of Russia formed by Harry von Hofmann. I did not immediately study it - no one was pressing me to supply them with such material - though I did put one interesting item - an entire letter from DUBOSARY in the auction now online at www.filateliapalvelu.com. This cancellation is on an official stampless wrapper. it reads DMITROV MOSK [va] GUB[ERNIYA] 18 ..... GODA. 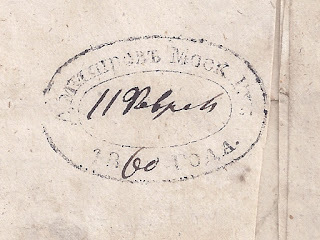 Though the date is completed in ink as 1860, the style of this cancellation is definitely pre-philatelic and it should exist on earlier material. Dobin lists and illustrates a similar cancellation but capable of printing the date; this cancellation is intended to have the date filled in by hand. Unfortunately, the cancellation is on an undated official wrapper the style and paper of which could date from the 1830s through the 1860s. It is possible, I suppose, that this is Dobin's canceller with the middle removed and so later rather than earlier. 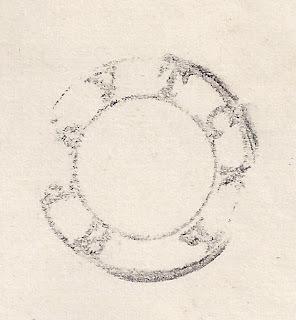 He gives a period of use 1838 - 1850 for his cancellation. My best guess is Griva, Volyn. Gub. but that doesn't seem very likely as that was a Vol.Prav. office that opened much later. 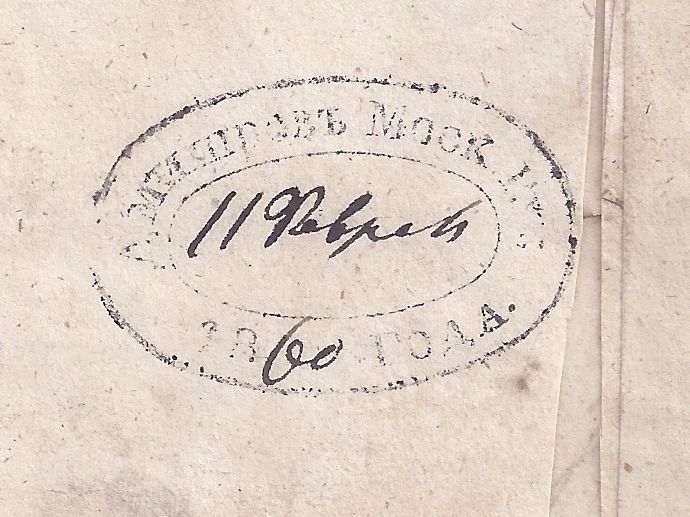 The place on the postmark is Korets in Volyn. Gub. It is also written on the front of the envelope at the bottom.